Bake chicken in the preheated oven until no longer pink at the bone and the juices run clear, about 30 minutes. An instant-read thermometer inserted into the thickest part of the thigh�... Do I have to remove the bone? We think you should! Removing the bone helps your chicken cook faster and more easily. And the pounding? 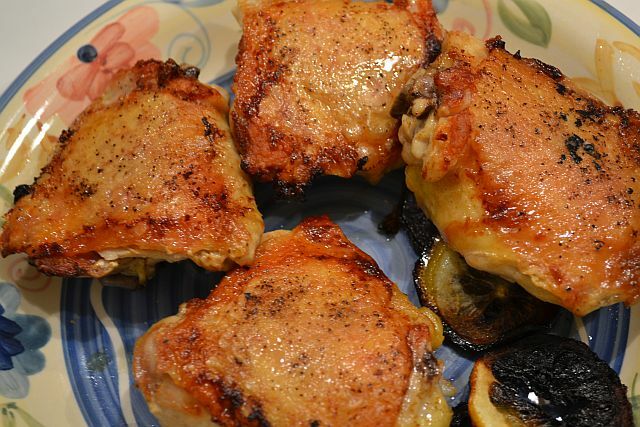 Pounding your thighs will help you get an even, golden-brown sear on your skin.